Welcome To Katelyns Krusade - Help us enable safe spaces for special needs children today. Katelyn’s Kloset Adapted Toy Library is NOW OPEN. Visit the Katelyn’s Kloset page for details! Our mission is to enable safe and developmental play dedicated to children with special needs and their families. The 1st Phase of this is to build an Adapted Toy Lending Library. Our goal is to provide all children the opportunity to play with developmentally appropriate toys and equipment in an environment which will support their changing needs and embrace their differences. 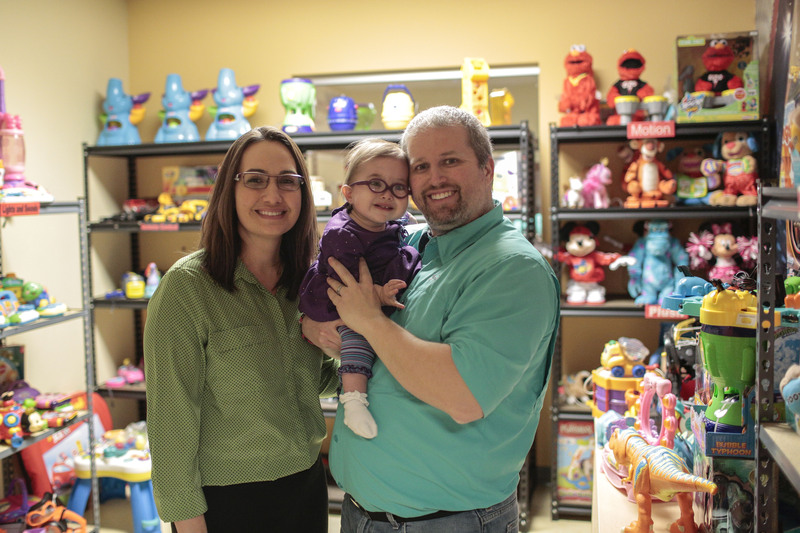 The Katelyn’s Kloset Adapted Toy Library opened on February 22, 2014 at Easter Seals Central and Southeast Ohio in Hilliard. Thank you for visiting our page. This is a place where you can learn about Spina Bifida, read Katelyn’s story, help our cause, and follow the BIG things that we will be doing for children with special needs and developmental disabilities. Check out the Krusade4Kids 5K tab while you are here. This is our annual fundraiser and we are very excited to make this a fun, family event while raising funds to support the Mission of Katelyn’s Krusade. We are honored that you have visited this page and hope you will continue to follow the Journey. We need your help to make the Mission of Katelyn’s Krusade a reality. If you would like to volunteer for the Krusade4Kids 5K event, please sign up to volunteer. If you would like to make a financial contribution, click on the button on the top left of the screen.